Mouthguards are a rubber, plastic or laminate protective apparatus used while playing sports to reduce or prevent injuries to the mouth, jaw, and face. Typically you will see mouthguards for the upper teeth and jaw, but they are commonly worn on both the top and the bottom. If fitted properly, they sit comfortably between the upper and lower teeth preventing them from slamming or biting together due to contact to the face. It is extremely important that all children active in contact sports wear a mouthguard. Although they are required in collision sports including football, hockey, and boxing, they aren’t always enforced with the same importance during other contact sports including baseball, basketball and soccer. This leniency increases the risk of serious injury in children. A study through the Journal of the Canadian Dental Association states that 10% to 38% of all childhood dental injuries are due to sport-related accidents. As a parent is important to make sure your child has the appropriate protection to their mouth to avoid serious injury and complications before it’s too late. Mouthguards protect against lacerations to the cheek, tongue, and lip, dislocated jaws, fractured teeth, and more. By wearing a mouthguard, the risk is lowered for injuries and future complications to the mouth and jaw. 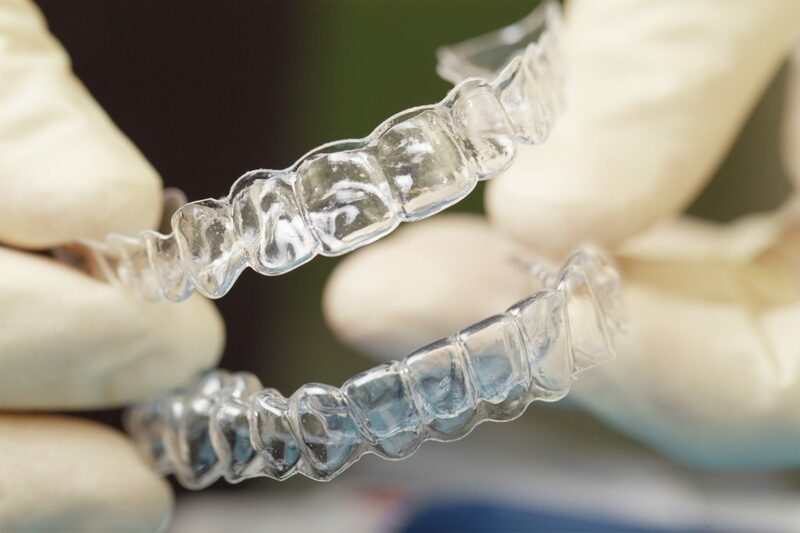 Visiting the dentist and getting fitted to a custom mouthguard — yes, they can even be custom fitted around braces— will ensure happy and safe sporting. Call today for more information on the importance of mouth guards and to book your appointment for a custom fit mouthguard. In an easy, painless, and quick appointment we will take an impression of your teeth and create the perfect mouthguard to be all yours. We make the mouthguard on-site and can have it ready for you in as little as a few days after your appointment. Say yes to safe sporting with a healthy, and protected, smile!